It’s always exciting to receive your mail and view buried amidst the crowd of circulars, a postcard! You are always eager to see who it is from and what it says. Business postcards often contain vital information and coupons. 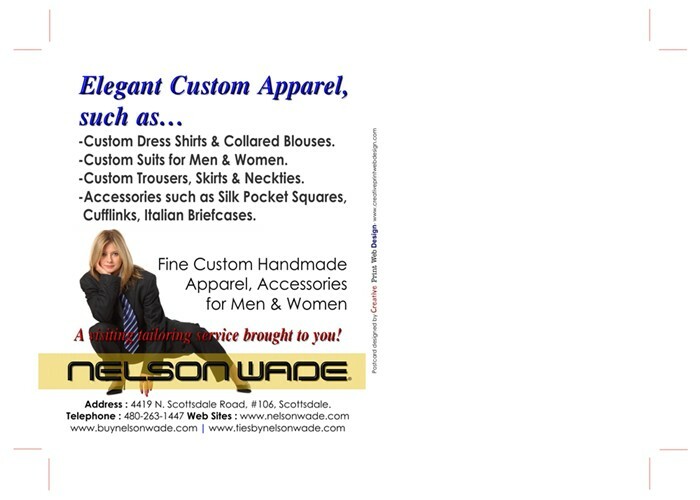 Our client NELSON WADE uses postcards as a tool to reach new clients, who would not have searched for the company online. They chose, 4×6 vertical postcards printed with 4/4 colors both sides and UV glossy coating from Creative Print Web Design.